Microsoft is making some changes to its Windows 10 smartphone apps after provoking outrage with its initial designs. Specifically, Outlook’s Mail and Calendar apps will put common commands at the bottom of the screen, where users can easily reach them with one hand. 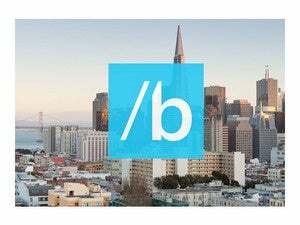 In a blog post, Microsoft has shared some mockups of a future design, showing a bottom bar for actions such as compose, delete, search, next message, and calendar views. An earlier Windows 10 preview for smartphones had these commands closer to the top of the screen, well out of one-handed range. “Without a doubt, the highest volume of dissatisfaction we’ve heard about Outlook Mail and Calendar for phones” came from people upset with this change, wrote Albert Shum, head of the design team in Microsoft’s Operating Systems Group. Why this matters: When Microsoft released the first preview of Windows 10 for phones, I was part of the angry mob. Even if Windows Phone didn’t have the greatest hardware or the most extensive app selection, it was at least forward-thinking in its use of bottom buttons for easy one-handed operation. This argument seemed to strike a chord, so it’s nice to see Microsoft listening to the feedback. For now, Microsoft is holding firm on some other sticking points. In the Edge web browser, for instance, Microsoft still plans to put the address bar at the top of the screen, largely to keep it consistent with the browser’s tablet and PC designs. Shum said the company is “investigating designs for this experience” and asked users to keep the feedback coming. Another thing that’s not changing is the use of circular photos for contacts, which some users said was incongruous with the rest of the Window design language. Shum said this approach helps contacts stand out visually, so Microsoft is sticking with it for now. Shum also defended the use of “hamburger” menu buttons, which bring out a sidebar of navigation options when tapped on. The good news is that swipe-based navigation isn’t completely dead. 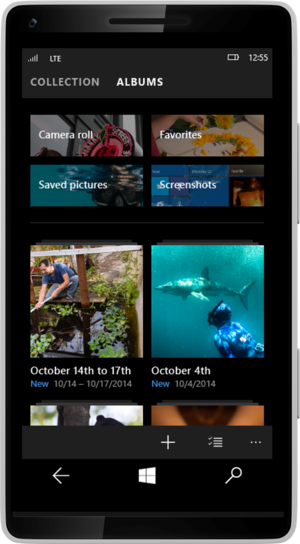 A screenshot of the upcoming Photos app shows how users can swipe between Collection and Albums views, echoing the old “pivot” menus of Windows Phone 8. Shum said developers will be able to decide which approach—hamburger or pivots—is best, and even use different approaches for different screen sizes. As for task switching, Shum said Microsoft is undecided on whether the list of recent apps should appear from left-to-right, or right-to-left. Windows PCs use the former approach, while Windows Phone has used the latter, so the question is whether Microsoft should stick with the phone’s (arguably misguided) tradition, or aim for more consistency with the desktop operating system. In all cases, Shim said that things will change over time—even after launch—as Windows becomes more of an evolving service.